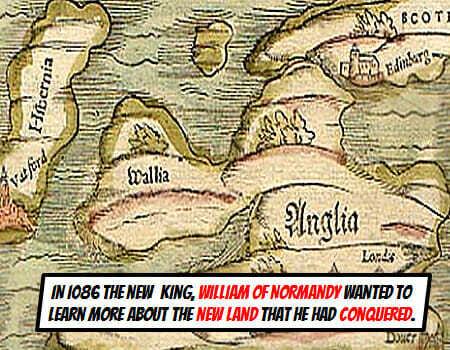 In 1086 the new King, William of Normandy, ordered his men to survey and record the new land that he had conquered. 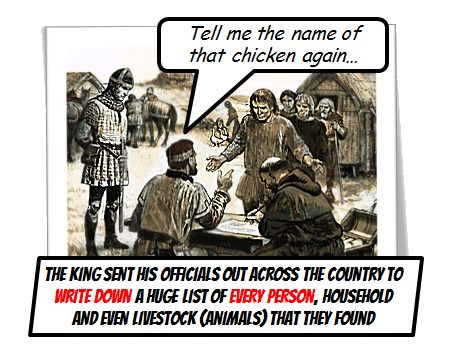 The king sent his officials out across the country to write down a huge list of every person, household and even livestock (animals) that they found. 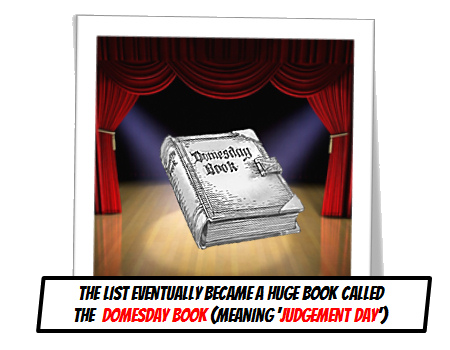 The list eventually became a huge book called the Domesday book. The actual pages of the book were made from Sheepskin, 900 of them. The skins were washed and scraped to remove the animal hair and then stretched out to make a parchment. 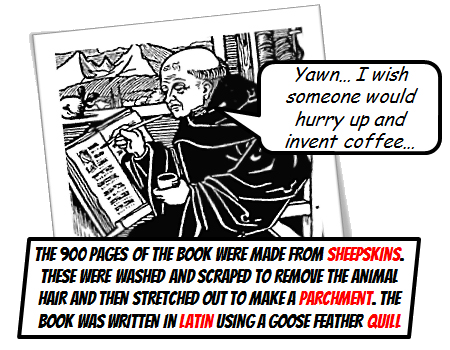 The book was written in Latin using a goose feather quill, probably by one single Monk in Winchester Cathedral! Each area visited was known as a ‘hide’ this was roughly the area of land needed to support a family on a small farm. An area of 100 hides was known as a ‘hundred’. 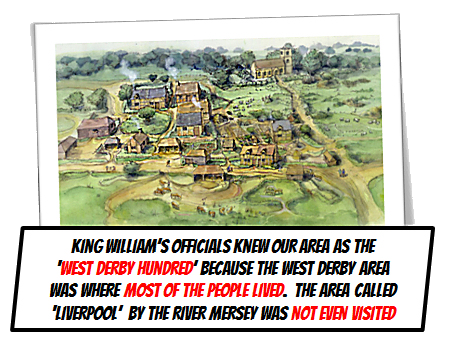 When King William’s officials visited this area in 1086 they didn’t come to an area called ‘Liverpool’. This was the name given to a small fishing area near the river Mersey (a tiny village of a few wooden huts probably). 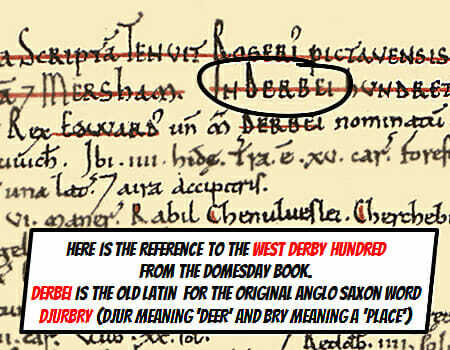 Instead, the king’s men came to the ‘West Derby Hundred’. This area covered roughly what we now call the whole of Merseyside. 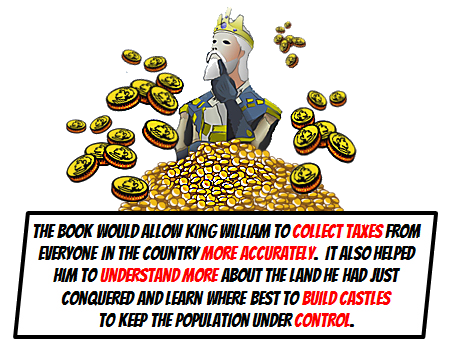 The book would allow him to collect taxes from everyone in the country more accurately. Domesday means ‘judgement day’ and William used it to understand more about the land he had just conquered and learn where to build more castles to keep the population under control. 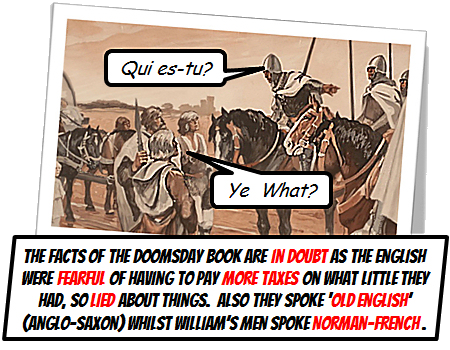 The problem in collecting the information was that William’s men spoke Norman-French whilst the English spoke ‘Old English’ (Anglo-Saxon). The English would never had had anyone ask them questions before and were also fearful of having to pay more taxes on what little they had.